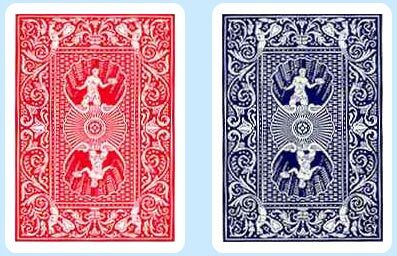 Hoyle Shellback Playing Cards feature red and blue decks with a mirror shell design on each card back. Hoyle Shellback Playing cards are in stock for immediate shipment. - SALE - Save BIG!